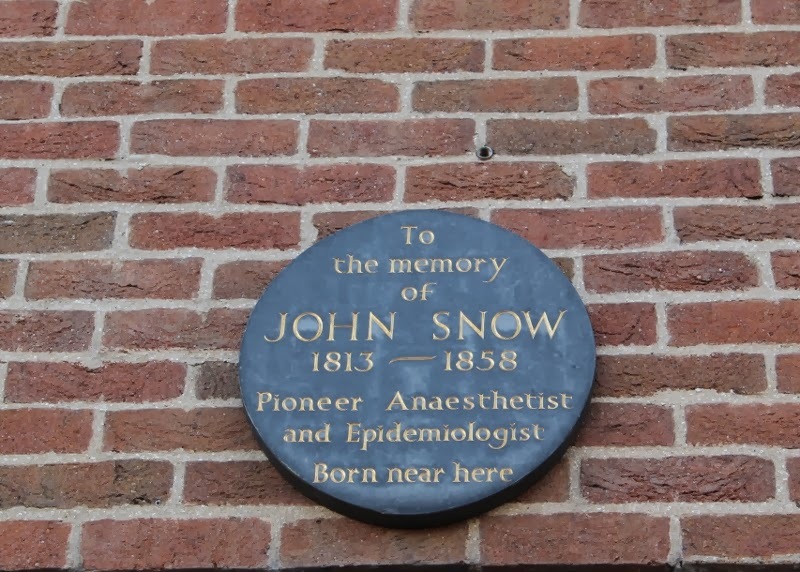 Revrunners comment on my 24th Feb post reminded me that John Snow, who carried out his ground breaking studies on cholera in London, was born in York. This plaque can be seen just a few feet from the River Ouse where John lived as a boy. Regular flooding of his home by the river probably helped concentrate his thoughts on what might be carried in the dirty water. When I think of how little opportunity is given most of us to do real and lasting good for our neighbors, I'm even more in awe of people like Snow. Thanks, Deb! I love those plaques that you find around Britain! It's a different kind of plaque than the ones we see here, but it serves much the same purpose.